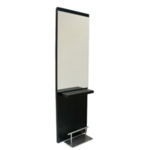 Crewe Orlando Dominica is a sturdy and economical mirror unit. 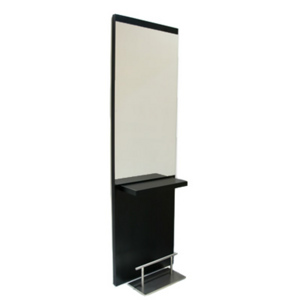 Supplied with a seperate free standing footrest of your choice (Please use the drop down box to select). Available in a wide range of laminate colours, shown here in black. Some colours are in stock and others may take 3-4 weeks for delivery. Please ring 01270 630280 for availability.